The Occasion Folding Bar Table is perfect for cocktail parties, events, or spaces that require furniture that is easy to move and store. 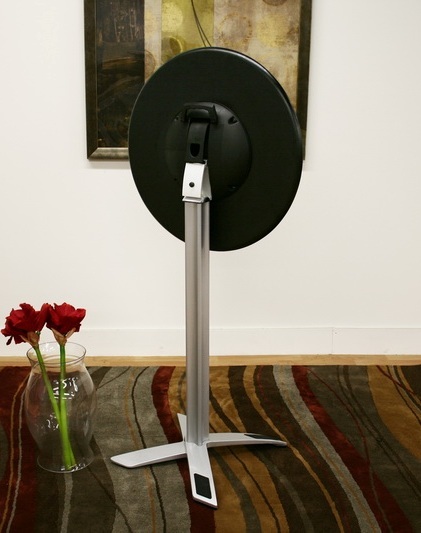 It features a top that folds from a horizontal to vertical position with a simple lift of a lever for storage against a wall when not in use. 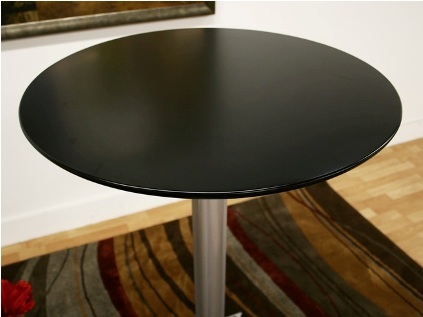 This commercial grade furniture has a black-coated wooden top with a powder-coated steel base and a black plastic lever mechanism underneath the tabletop, all finished off with black plastic non-marking feet. The Occasion folding bar table is also available in a shorter height. Assembly is required.